Go to People > Volunteers > Unavailable in the Admin area. Filter your list of volunteers to export by selecting the different filters. 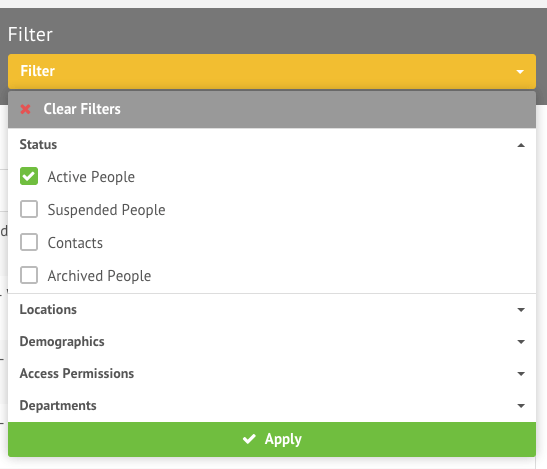 Select ‘Clear Filters’ to view all volunteers. Once a list is filtered, then simply click on ‘Export’. Your browser will automatically download a list of unavailable volunteers.